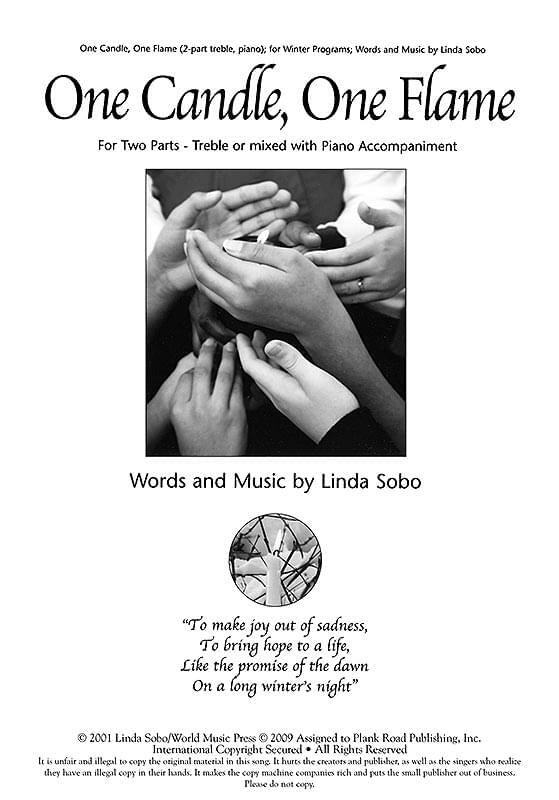 With words and music by Linda Sobo, this song will raise your Winter Solstice or seasonal concerts to a new level. "All it takes is one candle to bring darkness to light, like the promise of the dawn on a long winter's night." One person extending one gesture of kindness - and the world changes. Unison/SA; optional solo; simple piano.